Well that didn’t take long. As much as I tried to stay away, I was forced back into the fray. If you are a reader of this blog, you may remember the Australia class I helped teach last fall. Well it was popular and I have been asked to do it again. Thursday will be our orientation and then we will have 8 classes starting September 22nd. We will be learning about aborigianl art and painting our own, making boomerangs, didgeridoos and bull roarers. We will be learning about the Dreamtime and the stories of the Dreamtime. we will even sample Vegemite! It should be an interesting time, and I will do a weekly update. In addition, I found a few boomerangs in the garage that were begging to be completed. First is a “snake” shape by Alberto Sabal. 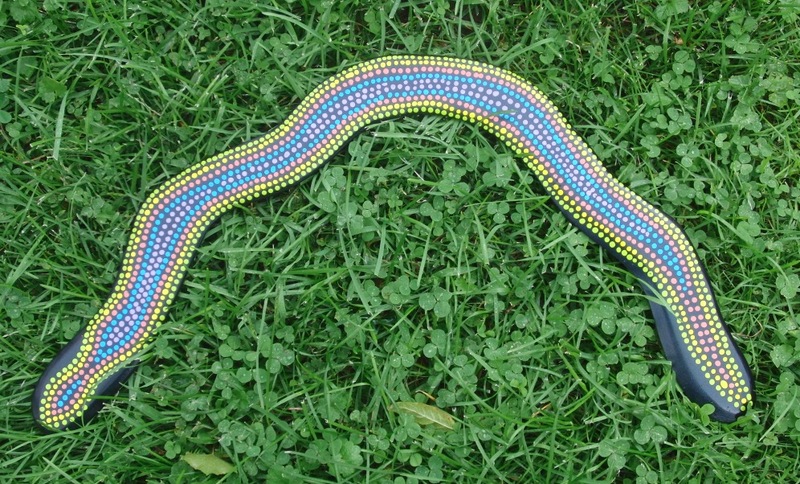 I decided to do an aboriginal style Rainbow Serpent with it. Since I painted it during Hurricane Irene, I named it “Irene”. 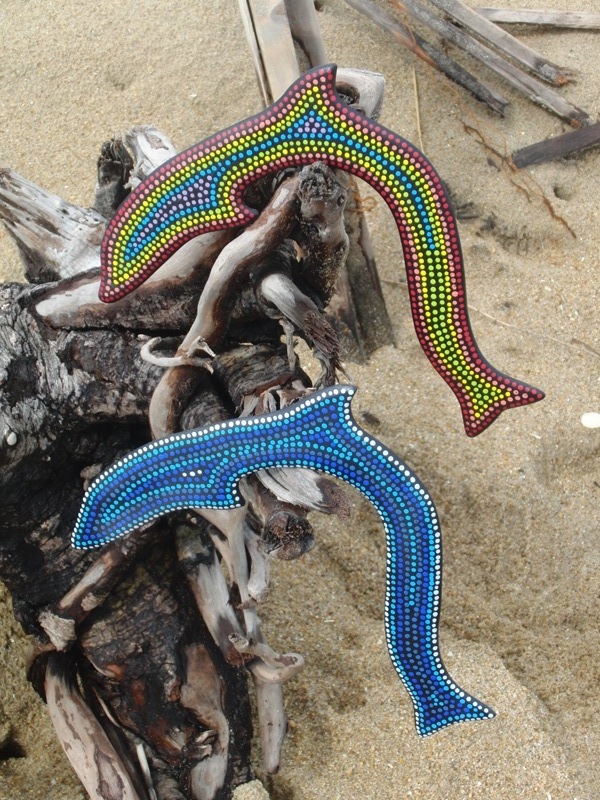 There were two dolphin boomerangs laying around too and i did the same technique on them. One don as a rainbow and the other in shades of blue. There were painted while i was on vacation in Kitty Hawk NC, where the Wright brothers flew the first airplane.